Definitely filled with a tribal beat, the TRIBAL TEMPO handmade necklace is perfect when you are wanting to show your more boho side. 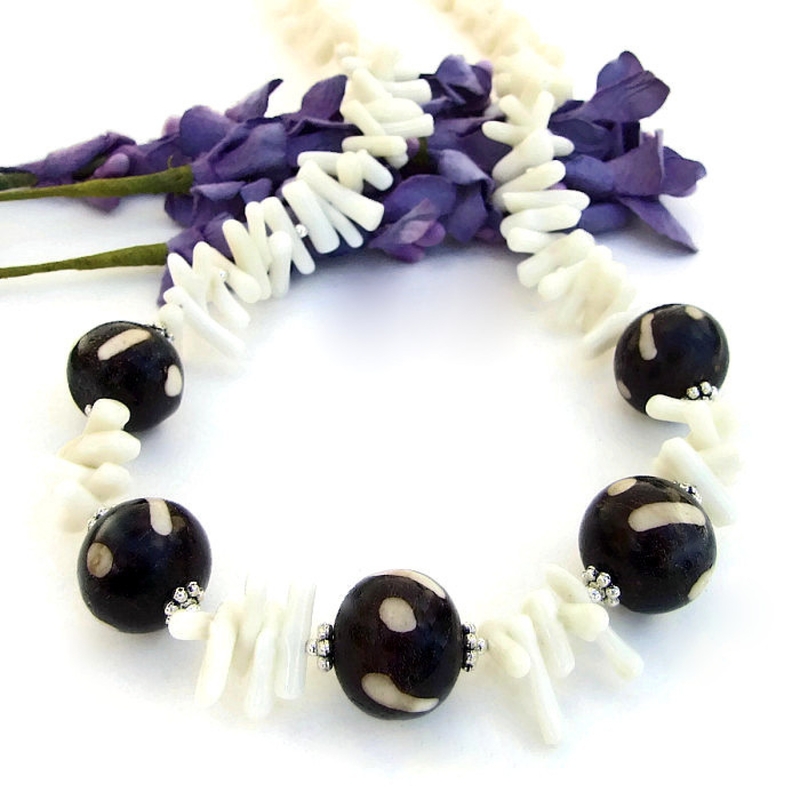 The unique necklace features five hand formed bone beads from Ghana (fair trade), decorated in a traditional black and white batik style. 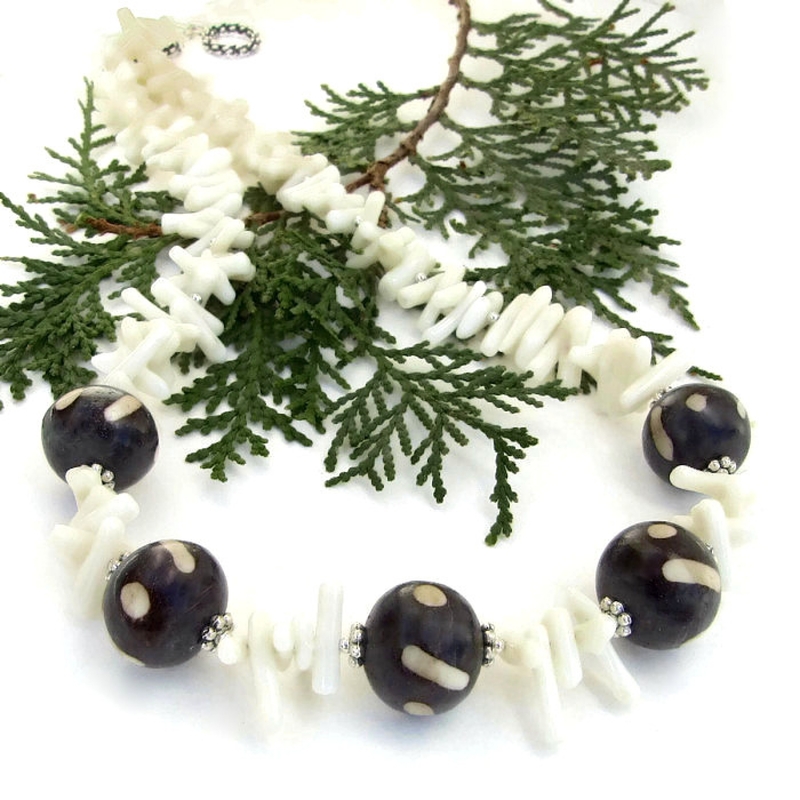 Graduated white bamboo coral frangia, punctuated with sterling silver beads, adds great texture and a funky feel. Just imagine wearing the one of a kind beauty with your little black dress or you favorite casual wear. 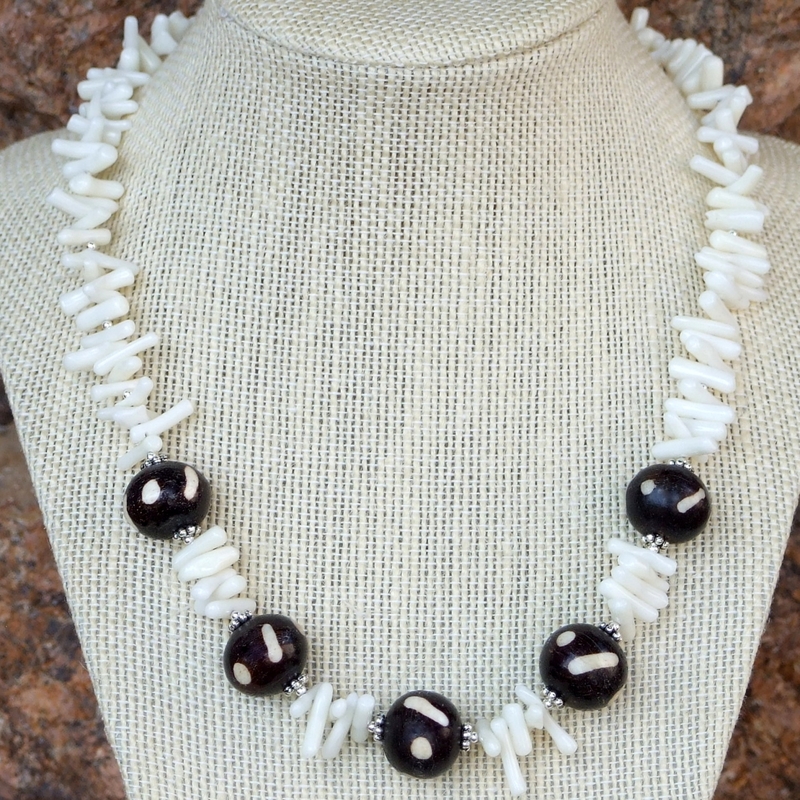 Created for the woman who loves to wear artisan handmade jewelry, the TRIBAL TEMPO necklace was carefully designed and beaded by Catherine of Shadow Dog Designs. For a better understanding of the relative size of the batik bone beads and the coral used in the TRIBAL TEMPO handmade necklace, please be sure to check out photo #5 for a size comparison with a quarter. 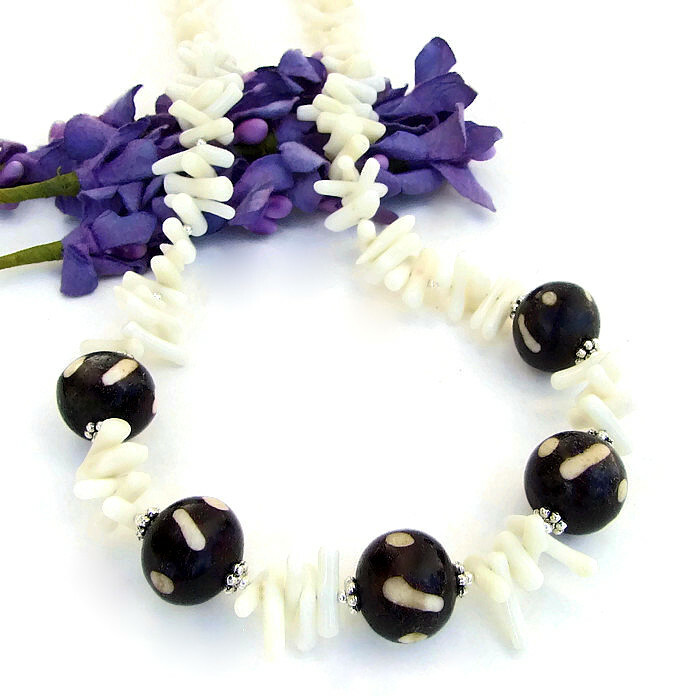 Bone is believed to bring good fortune and strength. White Coral is linked to emotional balance and relaxation. Silver is a metal of love and healing; it is a mirror to the soul, helping us to see ourselves as others see us. The TRIBAL TEMPO handmade necklace was carefully designed and handmade in a dog friendly, smoke free studio. The necklace will come with two informational drop tags: one with the piece's name; the other lists the materials used in the necklace and the language of the stones and metals. It will be carefully packed in an organza jewelry bag, perfect for gift giving to a loved one . . . or to yourself!